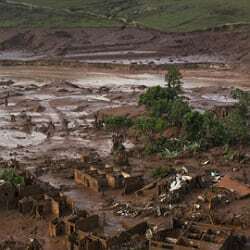 Brazilian prosecutors in the state of Minas Gerais have reportedly come to an agreement about final compensation payments with Vale and BHP over the 2015 Samarco dam disaster. 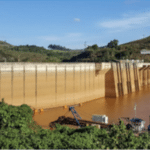 In November 2015, a tailings dam burst at the Vale-BHP Samarco iron ore joint venture in Mariana, Brazil, killing 19 people and causing massive damage to communities. According to Reuters, the statement did not disclose financial details but Mariana’s chief prosecutor is expected to hold a press conference today (Wednesday in Brazil) for further discussion. The deal will apparently allow the relatives of the 19 people who died in the event to start receiving compensation. In June 2018, BHP settled $7 billion in damages with the Brazilian Government in return for a two-year window regarding the settlement of a larger $55 billion claim for damages. In August 2018, BHP also settled a class action for United States shareholders to the tune of $US50 million to compensate for losses. 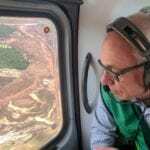 BHP released a terse statement this morning in response to media reports, stating: “The agreement outlines the process and principles for the negotiation and implementation by the Renova Foundation of the formal compensation program for impacted people in Mariana, Minas Gerais. The Renova Foundation (Fundação Renova in Brazilian Portuguese) refers to the private non-profit set up in the wake of the disaster by Vale, BHP, the Brazilian Government and various other local bodies and institutions for the purpose of reparation and resettlement.